A private Newsletter concerning the City of Lauderhill. Written by the Richard J Kaplan, its intent is to create a dialog about the city, and to inform. Articles are about matters effecting Lauderhill, community events, politics, and announcements. It is not an official publication of the city, nor approved or controlled by the city. Andrew Gayle heard that Lauderhill 6-12 students were programming drones, creating games, and entering contests; it was not difficult to predict his next move- he decided to join the party. Immediately he submerged himself in with a group of programmers and gamers. The next steps towards his goal of owning his own video game company continued as a student in Mr. Deich’s Game Design classes; it was there he learned about the value of competing. Andrew entered the Video Game Innovation Fellowship Challenge sponsored by the Entertainment Software Association (ESA) and Hispanic Heritage Foundation (HHF); their goal is to challenge minority youths to develop video games addressing social issues impacting their communities. Andrew entered the national competition with an original video game, “The Trash Eliminator” which brings awareness to pollution and the value of recycling. Andrew was identified as one of twenty Fellows to receive a grant to network and continue development of his game project. Andrew was flown to Washington, D.C on October 21st to present his idea to Antonio Tijerino, President and CEO of Hispanic Heritage Foundation. He spent the morning providing interviews to the Miami Herald, NBC Universal, and local DC news outlets. At the Capital, he met and networked with Rep. Tony Cardenas (CA), Rep. Ruben Gallego (AZ), Rep Stony Hoyer (MD), Rep. Ben Ray Lujan (NM), and Michael Echols, Director of Cybersecurity of US Department of Homeland Security; they discussed his game and the empowerment of minority youth related to STEM. His day concluded with a White House briefing led by Erik Martin from the Office of Science and Technology Policy. Andrew was selected for his vision, creativity and positive impact on the community. As a 2015 LOFT Fellowship recipient Andrews plans on utilizing his $1000 on a new laptop purchase that meets his gaming requirements. He has also started recruiting members to join his team. The Trash Eliminator has a bright future. RESOLUTION NO. 15R-10-234: AWARDING THE BID (#2015-042) TO P.E. SERVICES LLC IN AN AMOUNT NOT TO EXCEED $117,958.00 TO PROVIDE THE ACTUAL CONSTRUCTION OF THE ROUNDABOUT AND SPEED HUMPS ON N.W. 34TH AVENUE AND N.W. 5TH STREET WITHIN THE CITY OF LAUDERHILL; AWARDING THE BID TO J.R. BEHAR AND COMPANY, INC. TO COORDINATE THE INSPECTION OF THE ONGOING PROJECT AND PERMITS WITH BROWARD COUNTY IN AN AMOUNT NOT TO EXCEED $30,000.00; PROVIDING FOR PAYMENT FROM BUDGET CODE NUMBER 450-925-06525. RESOLUTION NO. 15R-10-243: ACCEPTING THE DONATION OF $2,500.00 IN GRANT FUNDS FROM TD BANK AS AN EVENT SPONSOR FOR THE JAZZ PICNIC IN THE PARK CONCERT SERIES AND IN THE AMOUNT OF $2,500.00 AS AN EVENT SPONSOR FOR THE LAUDERHILL LIONS FOOTBALL SEASON. RESOLUTION NO. 15R-10-245: APPROVING THE FLORIDA PACE NON-EXCLUSIVE INTERLOCAL SUBSCRIPTION AGREEMENT TO PROVIDE A LONG-TERM FINANCING MECHANISM FOR STRUCTURAL IMPROVEMENTS TO RESIDENTIAL AND COMMERCIAL PROPERTY OWNERS THAT ENCOURAGE RENEWABLE GENERATION, ENERGY EFFICIENCY AND WIND-RESISTANCE; PROVIDING FOR AN INITIAL THREE (3) YEAR TERM. ORDINANCE NO. 15O-08-130: GRANTING TO KONOVER ACQUISITIONS CORPORATION A DEVELOPMENT ORDER AMENDING THE ZONING DISTRICT MAP FOR THE CORNER OF STATE ROAD 7 AND SUNRISE BLVD., FROM COMMERCIAL ENTERTAINMENT (CE) TO GENERAL COMMERCIAL (CG). Failed 0 for and 5 against. 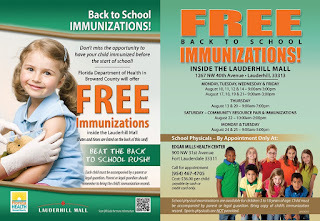 For more information contact the Lauderhill Regional Chamber of Commerce at (954) 318-6118 or visit them online at www.lauderhillchamber.com. Please join Commissioner M. Margaret Bates, the Lauderhill City Commission, the Fire/Police Department Honor Guard and the residents of the City of Lauderhill as we Honor America’s Heroes at Lauderhill’s Annual Veteran’s Day Celebration on Tuesday, November 3, 2015 at 4 pm at Veterans Park. “Honoring Lauderhill Veterans at the Annual Veteran’s Day Celebration is truly one of the greatest privileges I have serving as a City Commissioner. The sacrifices these heroes have made for us cannot be celebrated or acknowledged enough. This ceremony is only a small token of my appreciation to those who have given so much to all who live in this country, this city…..” exclaims Lauderhill Commissioner Bates, event organizer. This year’s list of impressive honorees include Samuel Battle of the United States Navy, Douglas Crumpler of the United States Army, Vincent Ferriero of the United States Navy, Robert Franklin of the United States Air Force, Gloria Johnson of the United States Air Force, David Smith of the United States Army, and Raymond Smith of the United States Army. Please join us in honoring these esteemed Lauderhill residents. The celebration is free and open to the public. After the Celebration we will have light refreshments for all to enjoy. Veterans Park is located at 7600 NW 50 Street. If you have any questions, please call us at 954-730 3000. 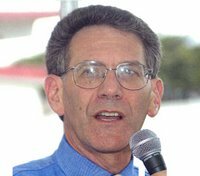 1) BUS TRANSFER STATION – LAUDERHILL MALL (MAYOR RICHARD J. KAPLAN) - Plans are proceeding but taking longer to accomplish then originally expected. There is a matter related to supplying security to the facility that is being addressed. 2) Ordinance No. 150-06-123: Campaign contributions by Charter Officers and Attorney Discussion - Consensus of the Commission was not to pursue this law as it was felt to possibly not be needed over the objections of Mayor Kaplan. However they did agree to hold off any further action until the Florida Bar issues an Ethics Opinion concerning the Supervisor of Elections Attorney on whether it is legal for a person in that capacity can be involved in a campaign, or is it a conflict to their client's interest. 3) GOOD NEIGHBOR STORE INITIATIVE (REQUESTED BY VICE MAYOR HAYWARD J. 5) FLORIDA PACE FUNDING AGENCY (REQUESTED BY VICE MAYOR BENSON) - Agreed to support. This conforms to the prior Ordinance passed by the City Commission in 2011 to authorize PACE within the city. However, a small amendment is now required to that ordinance, plus a resolution specifically to authorize funding. 6) CITY COMMISSION MEETING TIMES (REQUESTED BY COMMISSIONER M. MARGARET BATES) - Discussion on possibly moving Commission Meetings once a month to the afternoon. Consensus was against this however as an experiment, one future meeting could be tried to see if there is a change in attendance. OFFICE. (REQUESTED BY COMMISSIONER M. MARGARET BATES.) - Clarification was that the 12 year consecutive terms limits applies to the person and not the seat. Therefore, a Commissioner who had already served 10 years could run for Mayor, but if elected could only serve for 2 of the 4 years of that term. 8) RESIDENCY REQUIREMENTS DIRECTORS/ EMPLOYEES/ CHIEFS (REQUESTED BY CITY MANAGER CHARLES FARANDA) - Present law requires the Police and Fire Chief to live in the city. It is possible that this may be changed to allow them to also live in a contiguous city to Lauderhill. 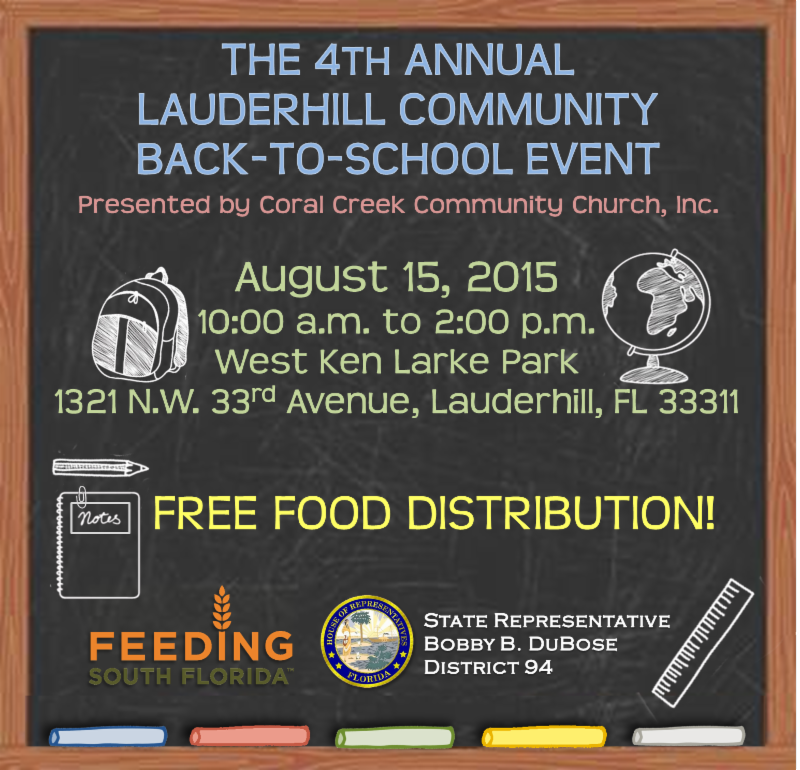 AREAS FROM FT. LAUDERDALE TO LAUDERHILL (REQUESTED BY COMMISSIONER M. MARGARET BATES.) - This is a function mostly of the Post Office. The City Attorney will send them a letter to see what can be done about it. The addition of Fire Station #110 in 2006 followed the City of Lauderhill’s annexation of the St. George, West Ken Lark and Broward Estates Communities. The City’s Fire Department has been operating out of a temporary trailer facility located at 3120 NW 12 Place since that time. On Thursday, October 29, 2015 at 10 am, the City’s Officials along with the Fire Department Staff and the residents of the City of Lauderhill will celebrate with a Ribbon Cutting for a new state of the art Fire Station to be located at the same address as the long standing temporary facility. The new 15,000 square foot state of the art facility was Designed and Built by West Construction, Inc and West Architecture + Design, LLC to meet the LEED Silver standards. These standards conform to the City’s ordinance requiring all newly constructed City buildings to be environmentally friendly. Fire Station #110 includes three fire truck bays, living quarters for fire rescue staff, a kitchen, a dayroom, an exercise room, separate restroom/shower facilities for both male and females, offices, storage rooms, a stand-by emergency generator, a police sub-station, and a medical triage room on the first floor. The second floor includes a multi-purpose room and serves as the City’s back-up Emergency Operations Center - as Fire Station #57 serves as the primary. “The opening of Fire Station #110 is a great accomplishment for the City and a real source of pride for our residents in the southeast corridor of Lauderhill. The building is the flagship for our very honorable fire department but it is also a beautiful addition for our community,” explains Mayor Richard J. Kaplan. Although the City’s Official Ribbon Cutting will commence at 10 am, there will be an Official Cornerstone Laying Ceremony by the Masonic Grand Lodge of Florida at 9:00 am. The Honorable Stephen P. Boring, Grand Master of Masons of the Most Worshipful Grand Lodge will preside over the proceedings. Both the 9 am Masonic Cornerstone Laying Ceremony and the 10 am Official City Ribbon Cutting Ceremony are free and open to the public. Please join the City Commission as we celebrate the Opening of the Fire Station on October 9, 2015 at 10 am. If you have any questions, please call us at 954-730-3000. On October 22 from 4 to 6 pm at Castle Hill Elementary a Lights on Afterschool program will be held to celebrate andhighlight programs that support communities by providing afterschool care to families that need. it. Broward County, FL (October 9, 2015) — The Broward County Supervisor of Elections, Dr. Brenda C. Snipes, would like to inform all Broward voters that they will be receiving a Vote-By-Mail Information Brochure in the mail beginning Tuesday, October 13. Mailings will continue throughout the month of October until all 1.1 million plus Broward registered voters have received the brochure. This information brochure will contain information relative to how to request a Vote-by-Mail Ballot for any, or all, the 2016 elections by returning the form attached to the mailing, or visiting the website at www.browardsoe.org, or by calling the vote-by-mail line at 954-357-7055. “We are pleased to advise all voters that effective with the March 2016 Presidential Preference Primary election, the postage to return a voted ballot will be pre-paid by the Elections Office. Voters may continue to drop off a voted ballot at the two Elections Offices as well.” said Dr. Snipes. I am too old to learn chess ... Really? Many adults don't know how to play ... and ... are a just wee bit intimidated by the game of kings and queens. Of course, many can understand being apprehensive watching second and third graders play -- many have been humbled by elementary school players! So, here is a short video you can use to learn enough to sit down with a student (or a friend) and at least be able to move around the board. You can use this to be ready for the Mayors' Chess Challenges. Broward County Public Schools (BCPS) Head Start/Early Intervention Department is launching a new initiative for families. The department is sending messages with early learning tips and activities directly to parents and guardians across the community. The messages are targeted to support “learning on the go” for infants, toddlers and pre-kindergarten children through everyday routines and events. It’s easy for families to receive these messages. On social media, follow the Head Start/Early Intervention Department on Twitter @BCPSHdStrtVPK or like them on Facebook at facebook.com/HeadStartEarlyIntervention. From the “configure app” option, you can also choose your language preference. The BCPS4 Infants/Toddlers/Pre-K messages are delivered twice a week beginning Monday, September 28, 2015. ORDINANCE NO. 15O-09-133: PROVIDING FOR THE ISSUANCE OF ITS $4,135,000 STORMWATER UTILITY REFUNDING REVENUE BOND, SERIES 2015B AS REFUNDING BONDS UNDER ORDINANCE NO. 04O-04-124 ENACTED ON MAY 10, 2004; AUTHORIZING THE PROCEEDS OF THE SERIES 2015B BOND TO BE APPLIED, TOGETHER WITH OTHER LEGALLY AVAILABLE FUNDS OF THE CITY, TO REFUND, ON A CURRENT BASIS, THE CITY’S OUTSTANDING STORMWATER UTILITY REVENUE BONDS, SERIES 2009 AWARDING THE SALE OF THE SERIES 2015B BOND TO BRANCH BANKING AND TRUST COMPANY PURSUANT TO A NEGOTIATED SALE. RESOLUTION NO. 15R-09-222: APPROVING THE U.S. DEPARTMENT OF HOUSING AND URBAN DEVELOPMENT (HUD) SUBRECIPIENT AGREEMENT BETWEEN THE CITY OF LAUDERHILL AND WINDERMERE CONDOMINIUM ASSOCIATION, INC. FOR DISBURSEMENT OF COMMUNITY DEVELOPMENT BLOCK GRANT (CDBG) FY 2013-2014 FUNDING IN THE FORM OF A LOAN IN THE AMOUNT OF $380,000.00 FOR RESIDENTIAL BUILDING IMPROVEMENTS. RESOLUTION NO. 15R-09-225: APPROVING THE SOLE SOURCE PURCHASE OF SPECTRA BOX OFFICE TICKETING SYSTEM FROM PROFESSIONAL FACILITIES MANAGEMENT ("PFM") IN THE AMOUNT OF $40,845.00. RESOLUTION NO. 15R-09-228: APPROVING THE CANCELLATION AND RESCHEDULING DATES CALENDAR PRESENTED BY CITY STAFF FOR THE 2016 FISCAL YEAR; ENABLING STAFF TO PROVIDE ADVANCED NOTICE AND PUBLICATION TO THE PUBLIC OF SUCH DATES. RESOLUTION NO. 15R-09-227: GRANTING TO HM KOREAN D/B/A IZZIBAN SUSHI & BBQ A SPECIAL EXCEPTION USE DEVELOPMENT ORDER WITH CONDITIONS TO ALLOW A RESTAURANT WITH FULL SERVICE BAR WITH A 4COP LIQUOR LICENSE; FOR THE PROPERTY LOCATED AT 7225 WEST OAKLAND PARK BOULEVARD, LAUDERHILL, FLORIDA. BROWARD COUNTY, FL - In support of Broward County Transit (BCT) services, some bus fares will increase on BCT starting October 1, 2015. The bus fare increases were approved at a public hearing in September 2014, to be implemented over 2014 and 2015. "BCT is continually growing and evolving and we are investing in new services, better infrastructure, fleet enhancements and state of the art technology, including real time services being tested right now," said Tim Garling, Deputy Director of Broward County Transportation Department. "The new fares will help support BCT's current and additional programs going forward." The 31-Day Reduced College Fare Student pass and the Premium Express one-way cash fares and Premium 31-Day bus passes will not increase in October 2015. Others not listed will remain the same. All current bus passes will continue to work through their expiration date. BCT's transfer fees to and from Miami-Dade Transit, Palm Tran and Tri-Rail transit systems will remain the same. For additional information, customers can contact Customer Service Center at 954-357-8400 (TTY: 954-357-8302) or can see all fare changes online at Broward.org/BCT. The Lauderhill Police Department, and other Federal agencies made numerous arrests September 17 in Central Lauderhill. Below are some basic details. All of this is the result of many months of hard, great police work by the members of LHPD, and the other fine law enforcement officers from the other agencies. On Friday, September 11, the City Commission met and held its regular commission meeting. This rare Friday meeting was scheduled in conjunction with the later in the day Budget Commission Meetings to comply with all state laws required to hold budget meetings and not conflict with religious holidays or county/school board hearings occurring in this month. All items passed unanimously unless otherwise indicated. ORDINANCE NO. 15O-09-133: PROVIDING FOR THE ISSUANCE OF ITS $4,135,000 STORMWATER UTILITY REFUNDING REVENUE BOND, SERIES 2015B AS REFUNDING BONDS UNDER ORDINANCE NO. 04O-04-124. ORDINANCE NO. 15O-09-144: APPROVING A SUPPLEMENTAL APPROPRIATION OF ADDITIONAL REVENUES AND EXPENDITURES TO BALANCE THE FISCAL YEAR 2015 BUDGET. ORDINANCE NO. 15O-08-126: APPROVING ADDENDUM NO. 1 TO THE VACANT LAND CONTRACT WITH WE FLORIDA FINANCIAL FOR THE SALE/PURCHASE OF THE PROPERTY LOCATED AT 6279 WEST OAKLAND PARK BOULEVARD TO REDUCE THE PURCHASE PRICE TO $812,500.00. ORDINANCE NO. 15O-08-128: TO AMEND THE RATE SCHEDULE OF FEES CHARGED BY REPUBLIC SERVICES OF FLORIDA, LIMITED PARTNERSHIP D/B/A ALL SERVICE REFUSE FOR DISPOSAL SERVICE CHARGES TO BE DEEMED EFFECTIVE COMMENCING OCTOBER 1, 2015; AMENDING EXHIBIT “B” TO REMOVE REINSTATEMENT FEES. ORDINANCE NO. 15O-08-129: AMENDING THE STANDARDS AND PROCEDURES APPLICABLE TO HOUSES OF RELIGIOUS WORSHIP AND OTHER PUBLIC ASSEMBLY USES IN ALL AFFECTED ZONING DISTRICTS, TO CONFORM TO THE FEDERAL RELIGIOUS LAND USE AND INSTITUTIONALIZED PERSONS ACT OF 2000 (RLUIPA). ORDINANCE NO. 15O-08-131: AMENDING SECTION 21-47, SCHEDULE OF RATES AND CHARGES TABLE 4, WATER SYSTEM MINIMUM CHARGE, TABLE 5, WATER SYSTEM VOLUMETRIC RATES AND TABLE 6, SEWER RATES TO INCREASE THE RATES BASED UPON THE JUNE 2015 CONSUMER PRICE INDEX FOR INFLATION; PROVIDING THAT THE NEW RATE STRUCTURE SHALL BE EFFECTIVE COMMENCING OCTOBER 1, 2015. ORDINANCE NO. 15O-08-132: AMENDING SECTION 21-47, SCHEDULE OF RATES AND CHARGES, TABLE 7, STORMWATER MINIMUM CHARGES/AVAILABILITY RATES TO INCREASE THE RATES BASED UPON THE JUNE 2015 CONSUMER PRICE INDEX FOR INFLATION; PROVIDING THAT THE NEW RATE STRUCTURE SHALL BE EFFECTIVE COMMENCING OCTOBER 1, 2015. RESOLUTION NO. 15R-09-218: APPROVING THE GRANT AGREEMENT BETWEEN THE STATE OF FLORIDA DIVISION OF CULTURAL AFFAIRS AND THE CITY OF LAUDERHILL FOR $10,545.00 IN FUNDING TO BE APPLIED TOWARDS PROFESSIONAL MANAGEMENT CONSULTANT FEES IN ORDER TO PRODUCE AT LEAST ONE (1) PERFORMANCE AT THE PERFORMING ARTS CENTER; APPROVING IN-KIND MATCHING FUNDS ON BEHALF OF THE CITY IN THE AMOUNT OF $10,545.00. RESOLUTION NO. 15R-09-219: APPROVING A BUDGET ADJUSTMENT TO BALANCE GENERAL FUND EXPENDITURES FOR THE FISCAL YEAR 2015 BUDGET IN THE TOTAL AMOUNT OF $504,650.00. RESOLUTION NO. 15R-09-220: SUPPORTING THE ENVIRONMENTAL PROTECTION AGENCY (EPA) CLEAN POWER PLAN AND PROMOTION OF CLEAN ENERGY (REQUESTED BY COMMISSIONER M. MARGARET BATES). For more information please call (954) 497-3367. The event is free and open to the public. However seating is limited so RVSP today! Lauderhill Commissioner Ken Thurston is Back at it Again! Season 5 of the Green Series is Set to Commence this Week for the Residents of the City of Lauderhill. Commissioner Ken Thurston in his 5th year as City Commissioner started the Green Series the very first year he was elected by the residents of Lauderhill. Since then he has worked with Waste Pro, the City’s recycling provider, to help underwrite the costs associated with the series. This year’s Green Series will include a total of 7 free classes at City Hall. The Green Series includes classes that help residents with planting gardens, maintaining lawns, growing lawns, plants and trees, selecting edible gardens for your home/condo, and general irrigations techniques. All classes are located in the Multi-Purpose Rooms at City Hall 5581 West Oakland Park Blvd. – 5581 West Oakland Park Boulevard, 33313. The first class this season is this week and is “BIG HARVEST……SMALL SPACE – How to maximize the yield while growing your condo or backyard,” Thursday, September 17, 2015 at 6 pm. For additional information or to RSVP, please call Lexie at 954-777-2040 or email her at alhall@lauderhill-fl.gov . Seats are provided on a first come first serve basis. Showcase your business and find opportunities! The Lauderhill Regional Chamber of Commerce and the Lauderhill Mall invite you to participate in the 2015 Interactive Business Expo. The Expo will be held on Saturday September 19, 2015 from 1:00 pm to 6:00 pm at the Lauderhill Mall located 1267 NW 40th Avenue Lauderhill, FL 33313. Exhibit space is still available for vendors, but hurry space is filling fast. 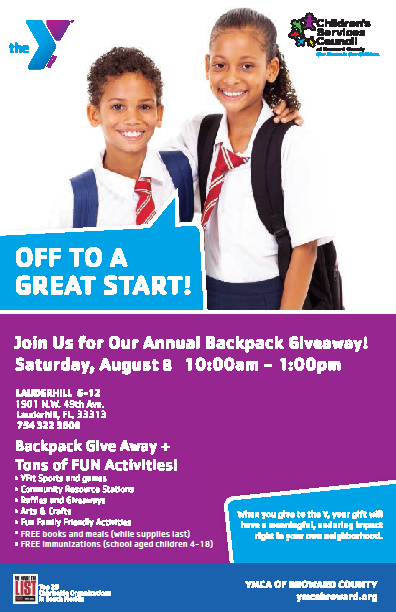 For more information contact the Lauderhill Regional Chamber of Commerce at (954) 318-6118. ORDINANCE NO. 15O-08-126: APPROVING ADDENDUM NO. 1 TO THE VACANT LAND CONTRACT WITH WE FLORIDA FINANCIAL FOR THE SALE/PURCHASE OF THE PROPERTY LOCATED AT 6279 WEST OAKLAND PARK BOULEVARD TO REDUCE THE PURCHASE PRICE TO $812,500.00 TO REFLECT AN OFFSET TO THE BUYERS COSTS DUE TO UNFORESEEN SUB-SURFACE CONDITIONS DISCOVERED ON THE PROPERTY. ORDINANCE NO. 15O-08-127: AMENDING VARIOUS SECTIONS OF THE CODE RELATIVE TO TRAVEL EXPENSE STIPENDS TO CLARIFY THE LANGUAGE TO PROVIDE THAT ALL BOARD MEMBERS IN GOOD STANDING ARE ENTITLED TO RECEIVE A TRAVEL EXPENSE STIPEND FOR EACH SCHEDULED MEETING THAT THEY ACTUALLY ATTEND FOR THE BOARDS FOR WHICH THEY ARE A MEMBER IN ACCORDANCE WITH SECTION 2-3.5; DISTINGUISHING THE TRAVEL EXPENSE STIPEND FROM "COMPENSATION"; (REQUESTED BY COMMISSIONER M. MARGARET BATES). ORDINANCE NO. 15O-08-129: AMENDING THE LAND DEVELOPMENT REGULATIONS (LDR) BY AMENDING THE STANDARDS AND PROCEDURES APPLICABLE TO HOUSES OF RELIGIOUS WORSHIP AND OTHER PUBLIC ASSEMBLY USES IN ALL AFFECTED ZONING DISTRICTS, TO CONFORM TO THE FEDERAL RELIGIOUS LAND USE AND INSTITUTIONALIZED PERSONS ACT OF 2000 (RLUIPA); AMENDING THE LDR BY CREATING A ZONING RELIEF PROCEDURE. ORDINANCE NO. 15O-08-131: AMENDING THE CODE OF ORDINANCES CHAPTER 21, WATER AND SEWER SERVICE, AMENDING SECTION 21-47, SCHEDULE OF RATES AND CHARGES TABLE 4, WATER SYSTEM MINIMUM CHARGE, TABLE 5, WATER SYSTEM VOLUMETRIC RATES AND TABLE 6, SEWER RATES TO INCREASE THE RATES BASED UPON THE JUNE 2015 CONSUMER PRICE INDEX FOR INFLATION; PROVIDING THAT THE NEW RATE STRUCTURE SHALL BE EFFECTIVE COMMENCING OCTOBER 1, 2015. ORDINANCE NO. 15O-06-122: AMENDING THE CITY CHARTER, ARTICLE VI, CITY MANAGER, SECTION 6.02, APPOINTMENT; QUALIFICATIONS; COMPENSATION, TO REQUIRE THE PERFORMANCE REVIEW PROCESS; AMENDING THE CITY CHARTER, ARTICLE VIII, CITY CLERK; CITY ATTORNEY; BONDING, SECTION 8.01 APPOINTMENTS AND TERMINATION, TO PROVIDE FOR THE PERFORMANCE REVIEW PROCESS (REQUESTED BY MAYOR RICHARD J. KAPLAN). RESOLUTION NO. 15R-06-140: REGARDING THE ANNUAL EVALUATION OF THE CHARTER OFFICERS OF THE CITY; PROVIDING THAT THE ANNUAL EVALUATIONS WILL TAKE PLACE IN SEPTEMBER; PROVIDING THAT THE EVALUATION FORMS FOR EACH CHARTER OFFICER IS HEREBY ADOPTED (REQUESTED BY MAYOR RICHARD J. KAPLAN). RESOLUTION NO. 15R-08-179: APPROVING THE THIRD AMENDMENT TO THE INTERLOCAL AGREEMENT FOR CREATION OF THE BROWARD METROPOLITAN PLANNING ORGANIZATION WHICH EXPANDS THE NUMBER OF VOTING MEMBERS TO 25 MEMBERS; PROVIDING THAT CERTAIN SPECIFIED CITIES' ALTERNATE MUNICIPAL REPRESENTATIVES SHALL BECOME VOTING MEMBERS; PROVIDING FOR ONE (1) ADDITIONAL BROWARD COUNTY COMMISSIONER AS A VOTING MEMBER OF THE BOARD; (REQUESTED BY MAYOR RICHARD J. KAPLAN). RESOLUTION NO. 15R-08-188: ENDORSING THE BROWARD COUNTY CHIEFS OF POLICE ASSOCIATION COMMITTEE REPORT AND RECOMMENDATION REGARDING THE DOMESTIC VIOLENCE INJUNCTION PROCESS; ENCOURAGING STATEKHOLDERS TO PARTICIPATE IN IMPLEMENTING THE RECOMMENDATIONS OF THE BROWARD COUNTY CHIEFS OF POLICE COMMITTEE (REQUESTED BY COMMISSIONER M. MARGARET BATES). RESOLUTION NO. 15R-08-189: APPROVING THE U.S. DEPARTMENT OF HOUSING AND URBAN DEVELOPMENT (HUD) SUBRECIPIENT AGREEMENT BETWEEN THE CITY OF LAUDERHILL AND THE LAUDERHILL HOUSING AUTHORITY (LHA); PROVIDING HOME INVESTMENT PARTNERSHIP PROGRAM (HOME) PROGRAM GUIDELINES AND STIPULATIONS FOR THE MANAGEMENT OF HOME PROGRAM FUNDS FOR FY 2012-2013 FOR THE USE OF FUNDING IN THE AMOUNT OF $171,416.00 FOR SINGLE FAMILY HOME RECONSTRUCTION. RESOLUTION NO. 15R-08-196: OPPOSING THE OIL DRILLING PERMIT APPLICATION SUBMITTED BY KANTER REAL ESTATE LLC, A FLORIDA FOR PROFIT LIMITED LIABILITY CORPORATION, TO THE FLORIDA DEPARTMENT OF ENVIRONMENTAL PROTECTION SEEKING OIL DRILLING RIGHTS ON PROPERTY LOCATED IN THE FLORIDA EVERGLADES, APPROXIMATELY SIX MILES WEST OF MIRAMAR'S CITY LIMITS; SUPPORTING EFFORTS OPPOSING EXTREME WELL STIMULATION, HYDRAULIC FRACTURING, ACID FRACTURING AND ANY FORM OF EXTREME WELL STIMULATION FOR PURPOSES OF RESOURCE EXTRACTION (REQUESTED BY VICE MAYOR HAYWARD J. BENSON, JR.). ORDINANCE NO. 15O-08-130: GRANTING TO KONOVER ACQUISITIONS CORPORATION A DEVELOPMENT ORDER AMENDING THE ZONING DISTRICT MAP; CHANGING FROM COMMERCIAL ENTERTAINMENT (CE) TO GENERAL COMMERCIAL (CG) THE ZONING DISTRICT OF A 5.33+ ACRE PARCEL MORE FULLY DESCRIBED AS THE CORNER OF SUNRISE BLVD. AND STATE ROAD 7. Tabled 5-0 at the request of the applicant and moved to the October 26th Agenda. RESOLUTION NO. 15R-08-195: GRANTING TO POLLO OPERATIONS, INC. A SPECIAL EXCEPTION USE DEVELOPMENT ORDER WITH CONDITIONS TO ALLOW IN THE GENERAL COMMERCIAL (CG) ZONING DISTRICT AN APPROXIMATELY 3,515 SQUARE FEET FAST FOOD RESTAURANT WITH DRIVE-THROUGH ON AN APPROXIMATELY 0.89 ACRE SITE MORE COMMONLY DESCRIBED AS OUTPARCEL # 2, THE FORMER BLOCKBUSTER VIDEO OF INVERRARY FALLS, 5757 W. OAKLAND PARK BOULEVARD, LAUDERHILL FLORIDA. Lauderhill, Florida: South Florida gears up for The Jamaica High School Alumni Soccer and Netball Tournament (JHSASN) this weekend at the Lauderhill Sports Complex, at 7500 W. Oakland Park Blvd., Lauderhill Florida, 33311. The two-day event runs Sunday, September 6th from 10am to 7pm and Monday, September 7th- Labor Day – at 10am. This Labor Day Weekend soccer and netball aficionados can expect a wide array of family activities; afforded by the generosity of event sponsors and partners: Goldson Spine; Jamaica National Building Society; National Weekly; JIFFD; Axum Management Capabilities, Inc.; Miami Broward One Junior Carnival; D_Empirement Management; Event R US; Florida Netball Association; Irie FM; Broward 100; City of Lauderhill. Alumnae teams will represent Kingston College, Dinthill, Cornwall College, Ruseas, Excelsior, Herbert Morrison, St. Elizabeth Technical High School, Vere Tech, St Mary’s College, Calabar, Wolmers Boys, Meadowbrook, Old Harbor, Tivoli, Marcus Garvey, Mount Alvernia and defending champions Mannings. Attendees are encouraged to wear their school colors and network with other alum at the Alumni Village. “Irie FM will be on-site, providing live coverage to their worldwide listenership. The Reggae Girlz will host soccer clinics with young players and meet and mingle with guests. Gate prizes includes weekend accommodations for two at Relax Resort in Montego Bay Jamaica, LASCO, and VP Records gift basket There are many new vendors and exhibitors within the Caribbean-American Marketplace. “We are very excited about this demonstration of our growth and cannot say enough how much we appreciate our Caribbean-American friends here in South Florida,” said Lavern Deer, JHSASN President. Admission to the tournament is free and the event is for the whole family. With no work the next day, Sunday’s games will be followed by the official after party Soul 2 Soul at Karu in Fort Lauderdale. Tournament can be found at: www.jhsasn.com. Inquiries can be made by phone to: 786.417.1225. Broward County Libraries Division will host a free "Broward Reads to Succeed: Early Literacy Conference" on Thursday, September 17th, from 8:30AM to 1PM, at Lauderdale Lakes Library/Educational Center, 3580 W Oakland Park Blvd., Lauderdale Lakes. The conference will feature children’s book authors and advocates for early literacy. Teachers, caregivers and anyone who works with children are encouraged to attend this free event. Participants must register by September 14th, by phone at 954-357-7317 or online at Broward.org/Library/Youth. Anne Elfers, wife of Former Commissioner Wally Elfers passed away on Monday, August 25, 2015. 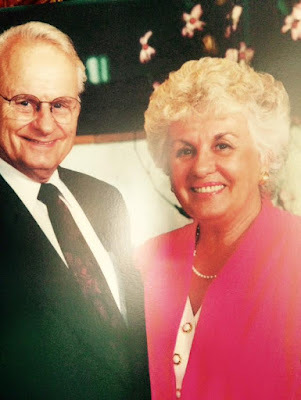 Anne and Wally were in an auto accident in June, and while Wally survived, Anne died of complications from the accident. As of Sunday morning, TS Erika appears to be substantially weakening and moving west. It may be downgraded to a Tropical Wave or Depression. Projections show it going over Cuba and then maybe heading north into the Gulf where it could strengthen again. Some projections show it heading WNW from there or North towards Tallahassee. At this time no State of Emergency has been declared in the City of Lauderhill. Expectations are mild winds, rain and the potential for flooding. A discussion occurred between the City Manager, City Attorney, City Clerk and Mayor about proceeding with the Monday City Commission Meeting and holding an Emergency Meeting today to discuss it with the City Commission. Given the downgrading and direction of the storm, it was felt that no Emergency Meeting is necessary at this time and we can proceed with the meeting on Monday as planned. However, if the storm should drastically change in the next 24 - 36 hours, then any decisions are subject to change. TS Erika has been a bit of an erratic storm and projections over the last 48 hours have her going from a Tropical Storm to as a Class 1 or 2 Hurricane, and as far down as a Tropical Wave. The direction started towards South Florida, moved east off coast between Florida and the Bahamas, and now moving west, possibly towards the Keyes. The one thing predictable about this storm is that it is not predictable. By Sunday a lot more will be known, but that may not leave much time to prepare. Depending upon the situation, at worse, make sure you have set aside Sunday to complete preparation if you haven't already, including putting up shutters if needed. Right now the biggest concern is flooding, but that may quickly change. As to the closing of governmental buildings, schools, cancelling meetings and the like, no decisions have been made. The City of Lauderhill staff will be discussing tomorrow whether to go forward with the Monday Night City Commission Meeting. Depending upon the discussion the City Commission may be acting upon it and an announcement will be put out if there are any changes. While Tropical Storm Erika is far out to sea, recent projections show that South Florida is presently within the cone but may weaken. At this time, at its present course and speed, it is possible for our area to start feeling the effects of wind and rain on late Saturday, and come to our shores very late Sunday/early Monday. It is too soon to know precisely if this storm will develop into a serious concern for us and fortunately the storm has not increased its strength yet. The City of Lauderhill is beginning its pre-storm plans and is closely monitoring the situation. Now is a good time, if you haven't already, to take action and be prepared for any storm that may be coming into our area during this Hurricane Season. The recommendation is in the next day or so it would be wise to make sure that any loose exterior landscaping, or loose objects that could fly, be disposed of/secured. Also, if there are drains in the area, that they be inspected so that they are not clogged. You may also wish to look over your emergency plans to make sure that you will be prepared in the event Erika or any other storm this season does approach our area and strengthens, i.e., food, water, batteries, etc. It is easier to plan ahead, then to wait until everyone else is trying to do the same thing at the same time. The best course of action is to be prepared. Also, if you are doing any work around your house, you need to be careful about it. Don't hurt yourself, and get help if you need it to avoid injuries. We are hoping that the storm stays far away from us and/or disappears, but it is a prudent idea to always be ready. The City of Lauderhill would like to congratulate Constance Stanley as Lauderhill’s new Acting Police Chief. Chief Stanley has been in law enforcement for over 24 years, serving 21 of those years right here in the City of Lauderhill. Having come up through the ranks in Lauderhill, Stanley has served in the Patrol Division, Criminal Investigations Division, the Professional Standards Unit, Traffic Division, Victim Services Unit, Crisis Intervention Unit, Crime Prevention Unit, Canine Unit, and has been the Public Information Officer for the department. Her most recent promotion was to Major in February 2013. Her impressive resume includes an Associate’s and Bachelor’s Degree in Criminal Justice as well as a graduate of the FBI National Academy, the Southern Police Institute’s Command Officer’s Development Course, and the Senior Management Institute at the Kennedy School of Government. Stanley is very active in several Professional Organizations to include the National Organization of Black Law Enforcement Officers, the Police Executive Research Forum, the American Society of Public Administrators, and the National Forum for Black Public Administrators. Chief Stanley is also a proud Mother of one, and as she will tell you an even prouder Grandmother of two. The City of Lauderhill would also like to wish outgoing Police Chief Andrew Smalling best wishes on his new endeavors after four years of serving the City of Lauderhill. Smalling will remain with the City of Lauderhill as a consultant in order to assist Chief Stanley’s transition in her new role. The City of Lauderhill wishes Chief Smalling and his family much success as they begin the next chapter of their lives. See the video of what students did this summer at Lauderhill 6-12 School, in a partnership with the Lauderhill Police Department. The Housing Hub and its support partners provide a day of information and resources guiding you down their yellow brick road of assistance to your new home. Recently the International Cricket Council (ICC) suspended again the United States of America Cricket Association (USACA), who was the cricket association administering cricket in the US and sanctioned all international and national games. The suspension was due to the failure of USACA to comply with numerous provisions of the ICC Constitution, among other reasons. At this time the ICC has assumed the authority to sanction all future games until such time as they determine if USACA or some other organization may be granted this authority. USACA still manages cricket in the US though this is unclear as to what this means. In the meantime previous attempts by organizations who were unable to obtain sanctioning authority from USACA are now working towards this goal from the ICC. It has already been announced that the Caribbean Premiere League (CPL) is planning to hold games in Lauderhill in 2016. Also efforts to bring international games involving the WICB and other international teams are being sought. In all of these situations, plans are very early and nothing has been set, sanctioned or confirmed. From October 22 to 26, 2015, the Moving Wall, a Vietname Veterans Memorial, will be coming to the Sportsplex Park in Coral Springs. To get involved, volunteer, donate or get more information contact Lou Cimaglia at loucimagliajr@aol.com 954-801-2004 or Ernie Kubasek at 954-415-3181. All donations are tax deductible. www.vcocs.org. A change was made in the City of Lauderhill's Tribute Concert Schedule. Instead of a Tribute to Motown, a Tribute to Fleetwood Mac will be performed instead. A Tribute to Motown is part of the Jammin' in the Park Fest planned for April. Broward is experiencing a drier than normal rainy season this year. Eastern parts of the County are under Stage 3 drought conditions, which is considered an extreme drought. The rest of the County is under Stage 2, considered a severe drought. Drought can be defined as a prolonged period of abnormally low rainfall. Broward urges its residents to practice good management of our water resources and demonstrate that "Water Matters". Use native plants or other plants that require little supplemental irrigation. If watering with a hose, make sure it has a shut-off nozzle. Water slowly to reduce runoff and to allow the water to penetrate deep to the plant's roots. Water only things that grow. Adjust sprinklers so they are not spraying water on paved surfaces. Install and maintain rain sensors on your irrigation controller if it does not have one built-in. Regularly inspect sprinkler heads to make sure they are not damaged or malfunctioning. Don't just water because it is your day. Irrigate your lawn when it shows signs of stress from lack of water. Pay attention to signs of stressed grass, such as a bluish-gray color, lingering footprints and leaf blades that are folded in half. Find a commercial car wash that uses recycled water. If you wash your own car, park on the grass, use a bucket of soapy water and a hose with a shut-off nozzle. Install low-flow faucets or faucet aerators. Install low-flow showerheads and time your shower to less than five minutes. If your toilet is older than 1993, consider replacing it and participating in the Broward Water Partnership's Conservation Pays Program where you may be eligible for a rebate. Scrape your dishes, don't rinse before loading into the dishwasher. And always operate the dishwasher only when you have a full load. Remember to turn off water when you are brushing your teeth or shaving. Every drop counts! Congratulations to Parkway Magnet Middle School student, Quin Nardonne, who competed in the state-wide Florida Piano Competition. He received three first place finishes in Solo, Hymn, and Sight Play and placed second in the concerto, the most difficult category, with the strongest competition. In addition to his trophies, Nardonne received a $600 check. To prepare for this honor, Nardonne practiced and performed daily. This dedication along with the motivation of his mother and tutor has led to many accomplishments such as his selection by the Chopin Foundation to play in the Chopin Concert. ORDINANCE NO. 15O-06-122: AMENDING THE CITY CHARTER, ARTICLE VI, CITY MANAGER, SECTION 6.02, APPOINTMENT; QUALIFICATIONS; COMPENSATION, TO REQUIRE THE PERFORMANCE REVIEW PROCESS; AMENDING THE CITY CHARTER, ARTICLE VIII, CITY CLERK; CITY ATTORNEY; TO PROVIDE FOR THE PERFORMANCE REVIEW PROCESS; (REQUESTED BY MAYOR RICHARD J. KAPLAN). Tabled 4-1, Mayor Kaplan voting no. RESOLUTION NO. 15R-06-140: REGARDING THE ANNUAL EVALUATION OF THE CHARTER OFFICERS OF THE CITY; PROVIDING THAT THE ANNUAL EVALUATIONS WILL TAKE PLACE IN SEPTEMBER; PROVIDING THAT THE EVALUATION FORMS FOR EACH CHARTER OFFICER IS HEREBY ADOPTED; (REQUESTED BY MAYOR RICHARD J. KAPLAN). Table 5-0 since it cannot be passed until ORDINANCE NO. 15O-06-122 is passed. RESOLUTION NO. 15R-07-150: APPROVING THE COMMUNITY DEVELOPMENT BLOCK GRANT (CDBG) SUBRECIPIENT AGREEMENT BETWEEN THE CITY OF LAUDERHILL AND THE LAUDERHILL COMMUNITY REDEVELOPMENT AGENCY (CRA) TO ALLOW $150,000.00 IN CDBG 2013-2014 REHABILITATION FUNDS TO BE USED BY THE CRA FOR FACADE IMPROVEMENTS AT RENAISSANCE PLAZA AS APPROVED IN THE CDBG ACTION PLAN. RESOLUTION NO. 15R-07-151: APPROVING THE GRANT CONTRACT BETWEEN THE COMMUNITY FOUNDATION OF BROWARD, INC. AND THE CITY OF LAUDERHILL ACCEPTING THE TERMS OF CONDITION AND ACCEPTING THE ART OF COMMUNITY GRANT AWARD IN THE AMOUNT OF $20,000.00 TO BE USED TOWARDS THE CONSTRUCTION OF A MOSAIC MURAL IN THE JAMES BRADLEY PARK; PROVIDING FOR THE CITY TO PROVIDE IN-KIND SERVICES IN THE VALUE OF $20,000.00 WITH NO MONETARY MATCH OF FUNDS REQUIRED. RESOLUTION NO. 15R-07-153: GRANTING TO ANTONIO GRILL MASTER, LLC A SPECIAL EXCEPTION USE DEVELOPMENT ORDER WITH CONDITIONS TO ALLOW THE TEMPORARY ON-SITE LOCATION OF A TRAILER TO OPERATE A CARRYOUT ONLY BUSINESS DURING THE RENOVATION AND CONSTRUCTION OF THE ON-SITE BBQ RESTAURANT LOCATED AT 1231 N.W. 31ST AVENUE, LAUDERHILL, FLORIDA. RESOLUTION NO. 15R-07-154: APPROVING THE DONATION IN THE AMOUNT OF $5,000.00 TO WOMEN IN DISTRESS OF BROWARD COUNTY, INC., REPRESENTING THE CITY'S CONTINUED SUPPORT AGAINST DOMESTIC VIOLENCE. RESOLUTION NO. 15R-07-167: APPROVING THE AGREEMENT BETWEEN THE CITY OF LAUDERHILL AND BROWARD COUNTY WHICH INCLUDES AN IRREVOCABLE LETTER OF CREDIT FROM THE CITY OF LAUDERHILL TO PROVIDE SECURITY FOR INSTALLING AN EMERGENCY TRAFFIC LIGHT ON N.W. 31ST AVENUE WHICH IS REQUIRED FOR FIRESTATION 110. On Tuesday, July 14, starting at 9:30 am at City Hall, the City Commission will be reviewing the proposed 2015-16 City Budget. At this point numerous public meetings have been held to discuss and recommend items for the budget, and this meeting will allow the Commission and Public to review the proposed budget. Changes can be made, and once completed the budget will be voted on twice in September. The City of Lauderhill and partners are offering a variety of summer programs and activities for our youth! See the links below for ongoing summer camps and classes. CLASSES - For the young at heart……the City of Lauderhill offers various classes such as Kendo, Tae Kwon Do, and Karate. CLUBS - Mah Johngg, Chess, and Scrabble Club are all very active clubs who meet regularly and compete in local, state, and national tournaments. FITNESS - Daily fitness classes offered include Spinning, Soca Aerobics, Zumba, African Dance, Yoga, Body Sculpting to name a few. SENIORS - Senior activities take place Monday through Friday and include exercise classes, water fitness, dominoes, coffee and tea time, and many social programs. AQUATICS - Finally, if you feel like taking a swim, we have 3 beautiful aquatic centers where the entire family can enjoy open swim sessions for less than the cost a cup of fancy coffee! 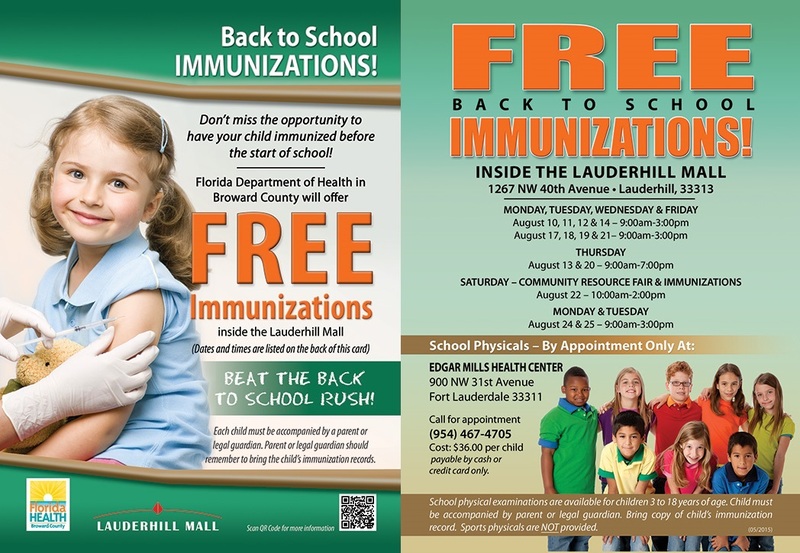 Visit the City of Lauderhill webpage at www.lauderhill-fl.gov for more information about all the activities, classes, and programs mentioned. Also, sign up for e-news emails at http://lauderhill-fl.gov/enews and get in the know. Have a great summer and Happy Independence Day America! Be safe this 4th of July! Elected to the Council/Commission in 1988, presently I am serving as the Mayor of Lauderhill since 1998. Tribute Band Performances: Lauderhill Sports Park from 7 PM to 9:15 PM, 7500 W. Oakland Park Blvd.